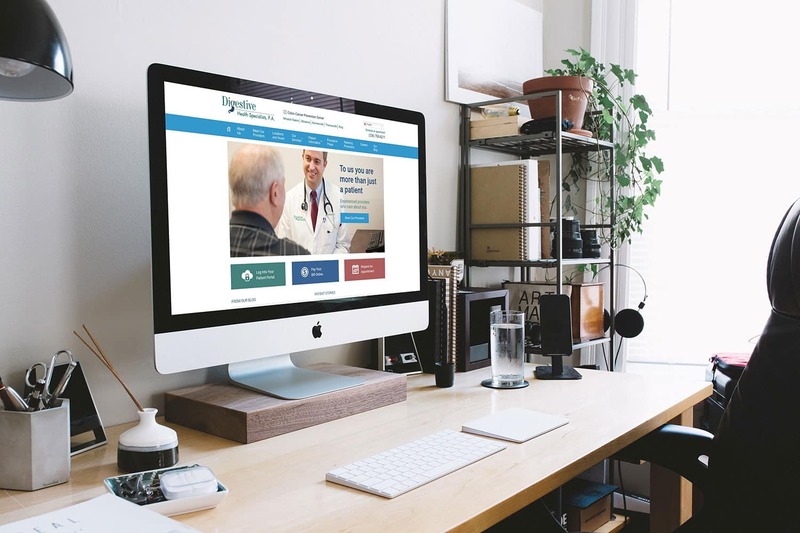 Digestive Health Specialists provides patient-centered, evidence-based treatment and preventative management of all digestive disorders and conditions. They have five convenient locations in the Triad, including Winston-Salem, Advance, Kernersville, Thomasville and King, NC. 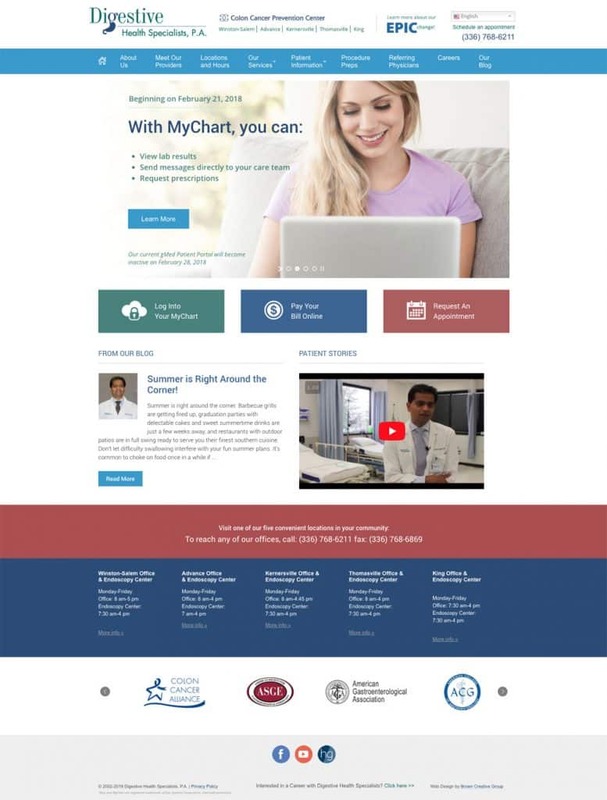 We designed and built a modern, responsive and user-friendly website that conveys their GI expertise, highlights their doctors and provides a resource to their patients with helpful information as well as a patient portal, online bill pay and online appointment requests.